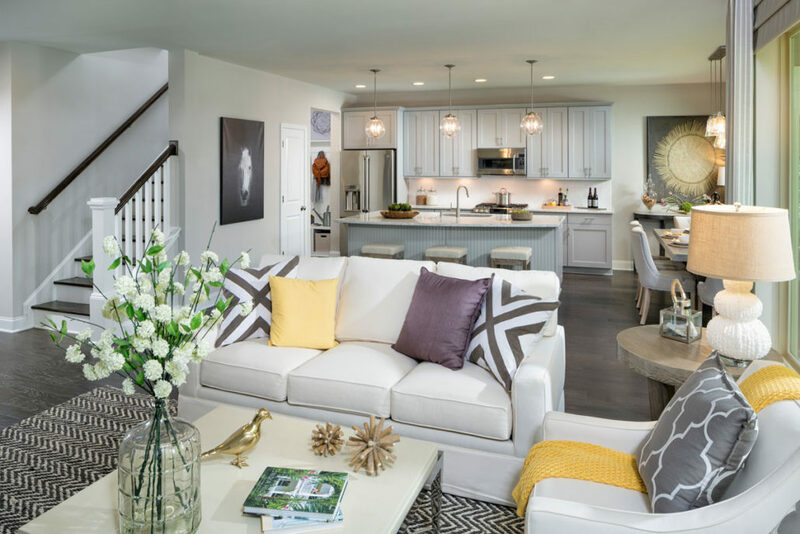 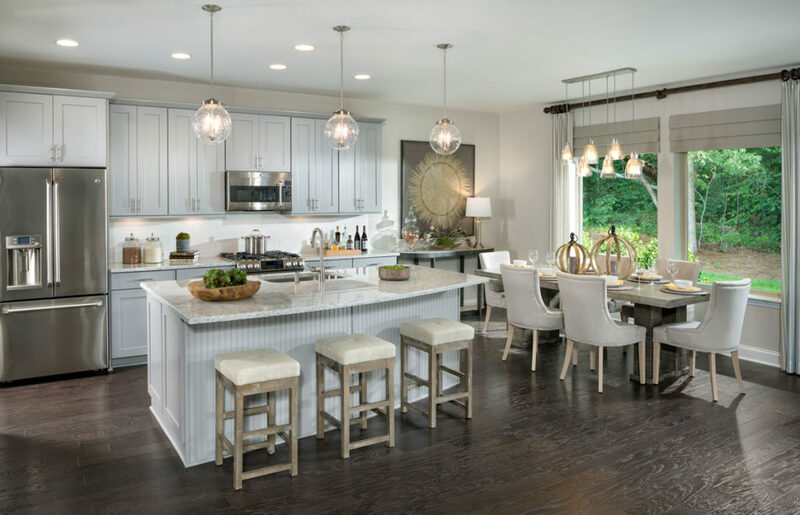 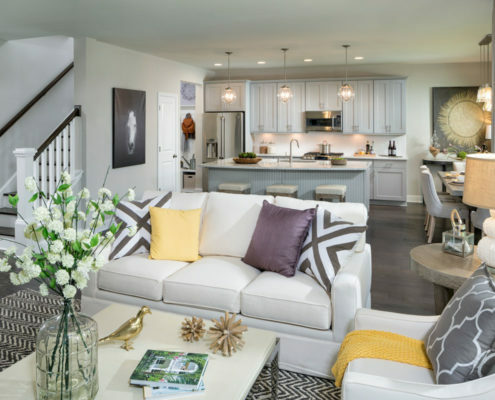 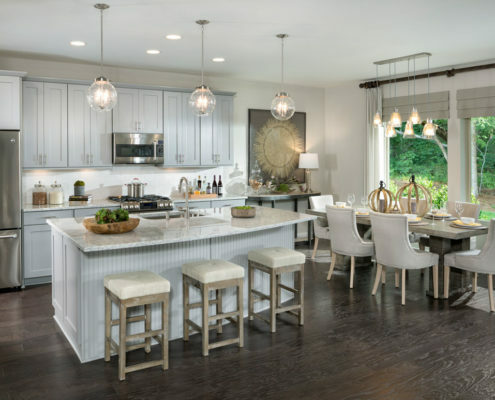 These luxury homes are in a new community just outside Durham attracting first time home buyers, single professionals and newly married couples who enjoy sports hobbies and the outdoors. The family room media and fireplace walls are accented with v-groove to enlarge the space. 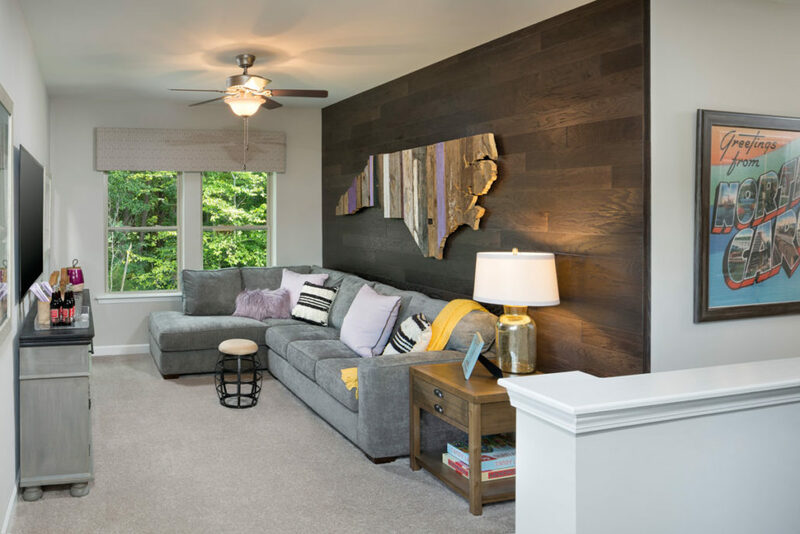 The dark stained wood in the family retreat adds a memory point. 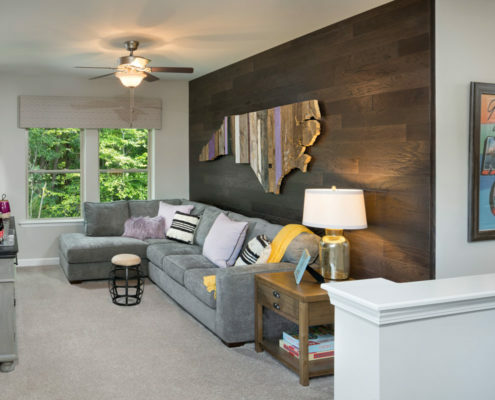 The master bath features a hexagon tile floor giving an open and spacious feel. 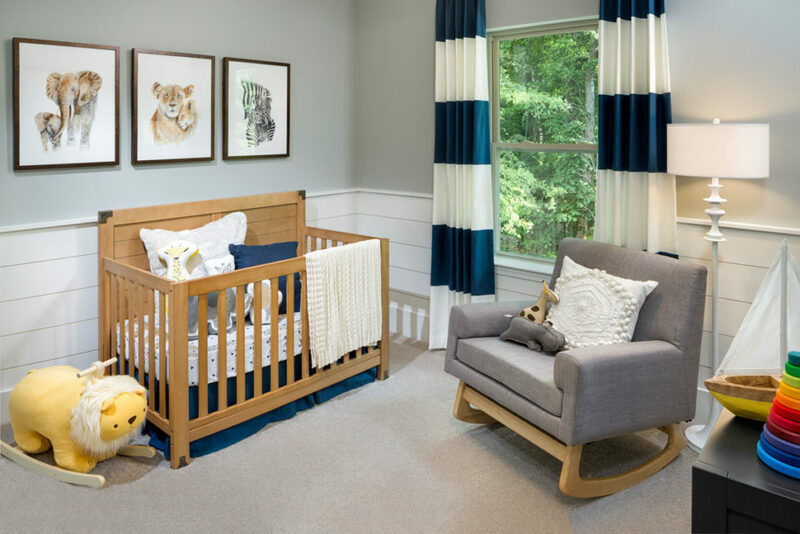 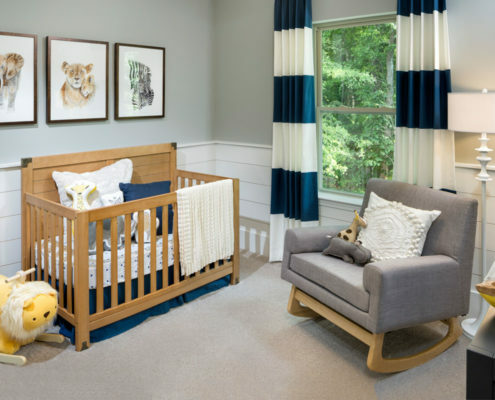 The nursery is accented with v-groove to complete the design throughout the home.